Without a sound foundation, your home is highly susceptible to major structural failure and even collapse. If it gets compromised by flooding, shifting soil, or inclement weather call for foundation repairs as soon as possible to prevent further problems. Pay attention to the telltale signs of a failing foundation to know whether it’s time to bring in the professionals. Cracks that appear on your home’s facade or interior walls should never be ignored, especially when they’re wider than a quarter of an inch. Deep, vertical cracks indicate a structural problem and can mean that the foundation is either sinking or receiving excessive pressure from surrounding soil. Have a foundation repair specialist diagnose the source of the problem and help you find the right solution. Another warning sign of foundation issues is bulging windows and doors. When entryways open and shut with more difficulty than normal, it can mean that your foundation is slowly shifting. Aside from sticking, look for cracks or gaps between caulking around doors and windows as well. 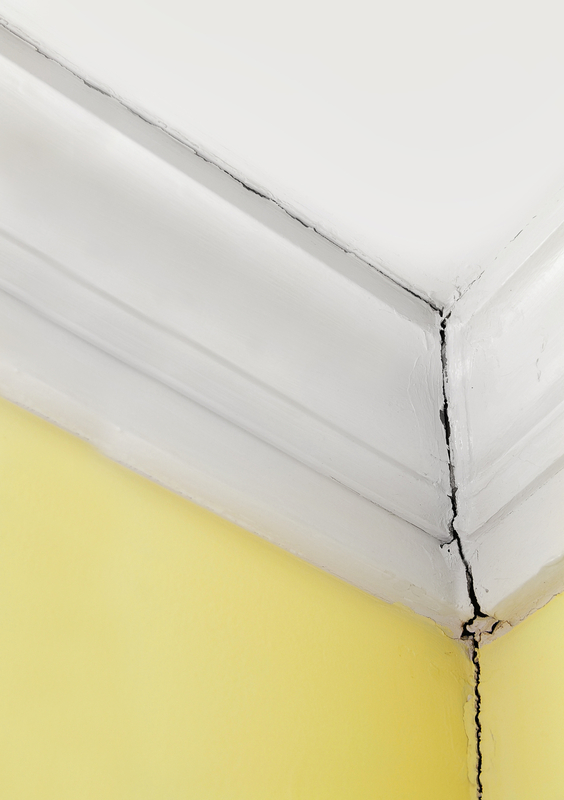 Apart from cracking, walls will also appear to separate from the ceiling, creating gaps between the molding. Look for wallpaper that creases or wrinkles — these are signs that the walls are shifting. Structures that are attached to your home, such as decks and porches, may also look as if they’ve been pulled away. If your home isn’t built on uneven terrain, be wary of sloping or sudden dips in your flooring. An incremental decline in your foundation is not an issue, but if you notice sloping greater than an inch every 15 feet or so, there might be a bigger problem underfoot. You may need foundation repairs ASAP. Basement walls should be straight, but if they appear to be caving in or bulging out, the problem could stem from poor soil conditions. When soil around your foundation repeatedly expands and contracts because of excessive moisture or poor drainage, your walls take the brunt of the damage. A foundation repair specialist will know how to address this issue to prevent unsafe conditions. Don’t allow your home to fall victim to a weak foundation. At the first sign of trouble, get in touch with the professionals at The Dwyer Company. With over 45 years of experience in foundation repairs, they specialize in concrete lifting, concrete repair, underpinning, soil stabilization, and slabjacking. Call (859) 231-0998 (Lexington, KY), (502) 489-5438 (Louisville, KY), or (513) 777-0998 (West Chester, OH) to request an estimate. You may also visit their website for more information.